Can Cocker Spaniels Live Outside? Home » Spaniels » Cocker Spaniel » Can Cocker Spaniels Live Outside? There are many reasons why keeping your dog or dogs outside all the time may seem like a good idea. So Can Cocker Spaniels Live Outside? We all know dogs and wolves are closely related. Since wolves live outside its natural to think that dogs must want to live outside too. So it’s quite natural to think of Cocker Spaniels as Outside Dogs. However unlike wolves who are natural predators, It can be dangerous for a small companion breed like the Cocker Spaniel to live outside. There are lots of reasons why Cocker Spaniels shouldn’t live outside. There are a lot of reasons why you should keep your dog inside in general but first I’ll cover why it’s a bad idea to keep your Cocker Spaniel outside. The Cocker Spaniel while historically a bird Dog is now more commonly bred as a companion animal. This means that they are bred to be around humans most of the time. Your Cocker Spaniel will end be lonely and bored all by itself out side. 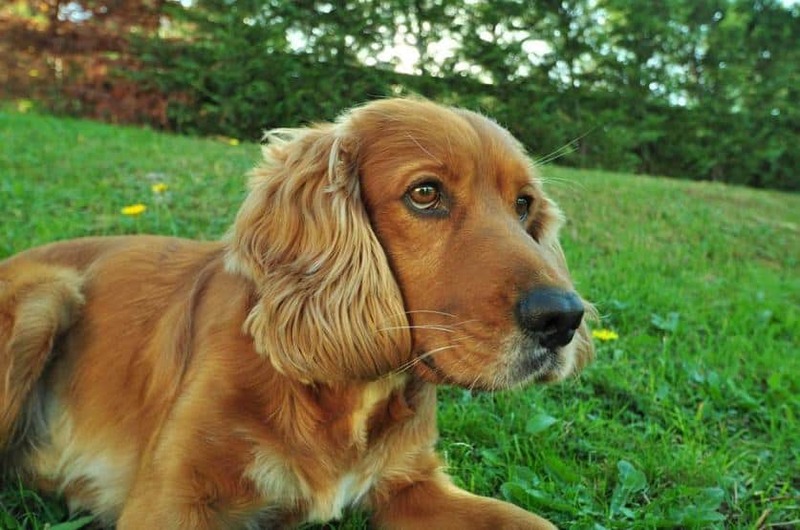 If you and your Cocker Spaniel have grown close, keeping it outside could cause a lot of emotional pain for your canine companion. Not only can it be dangerous emotionally for them, it can also be dangerous physically. Since Cocker Spaniels are small, timid, companion breeds, they make good targets for larger predators. Either on the ground or the sky. Now some general information for whatever type of dog or dogs you own. It’s common knowledge to most dog owners that dogs are pack animals. One reason why wolves are ok outside is that their pack is outside. To your dog, you and your family are its pack. 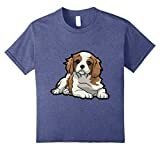 In order for your dog or Cocker Spaniel to feel like a part of the pack is to be around the family or you all the time. Dogs are also are den animals. They enjoy having a safe, constant place to sleep, eat, and relax. Outside is the opposite of safe and constant. Your dog will be much more at peace indoors. Dogs living outside are known to have more behavioral problems and are harder to train. These bad habits will be harder to get rid of too. Your dog will not form a bond with you if he’s living outside. The dog will not respect you as a pack leader and disobey you or ignore you. This can make training difficult. That’s actually a false statement. A dog will only protect its territory and its pack. If the dog is living outside, the dog will only protect the backyard. Since it feels like it’s not a part of the pack your dog will have no incentives to protect you or your house. Finally, outside dogs are more likely to be given up with no hope of ever being adopted because of behavioral issues developed from living outside. Can Cocker Spaniels Live Outside? While technically, yes, please don’t! At first glance, it may seem like a great idea to keep your dog outside. After looking at it closer though you can see how dangerous it can actually be for your dog. Cocker Spaniels should be allowed to stay inside for them to be safe and happy. 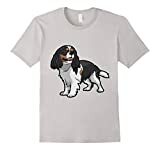 Be smart and allow your Cocker Spaniel to live indoors with his pack where he belongs.